There were 15 LSC swimmers, 28 medals, 8 ribbons, 9 new county times and PBs galore at the Atlantis Christmas Cracker over the weekend! Catriona MacLeod nailed 4 new county times, including a massive 26 second PB on her 200 IM. Millie Iden, Stephen Redman (2), Ella Thornburg and Ollie Harvey all achieved county times too. A further 16 swims were improved county times (Millie, Ollie I (3), Euan (4), Ella T (3), Ella N (2), Catriona and Madi). Nearly everyone swam PBs, with an impressive overall PB rate of 69.7%. Biggest of the bunch was Joe Greaves with a 2m 20s PB in his 400 free! Ok, he did last swim it over a year ago, but his 200 split was faster than his recent 200 PB so we knew that was going to be good! Which it was – he knocked another 9 seconds off that! 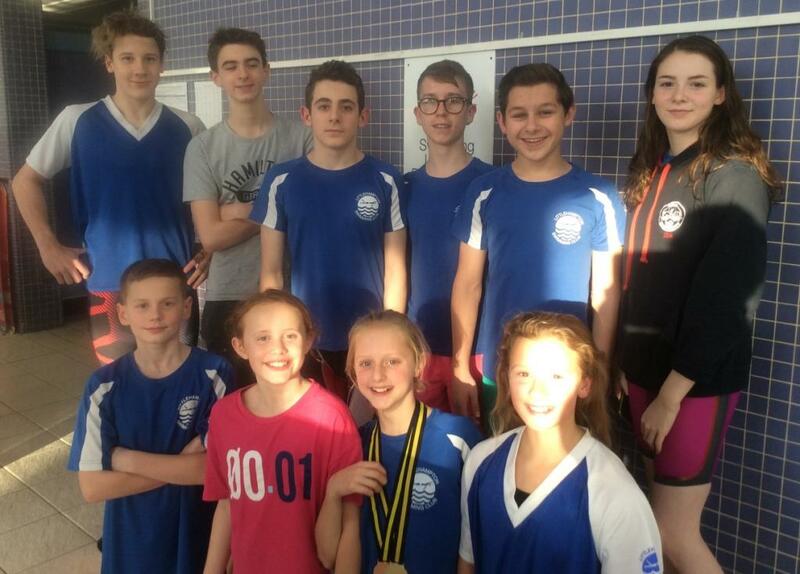 More PBs (some getting very close to county) came from Alfie, Ollie H, Ollie I, Stephen, Amelia , Catriona and Ella N.
In the individual points our top scorers were Euan MacLeod 2nd in the 12yr boys, Ella Thornburg 4th in the 11yr girls, Madi Walker 5th in the 15 yr girls, Ollie Iden 6th in the 14yr boys. Gold medal winners were: Ollie Iden, Euan MacLeod, Ella Napier, Ella Thornburg (2) and Madi Walker (4). Thank you to all our lovely team managers / coaches: Kerry Iden, Rachael Davies, Paul Redman, Ciara MacLeod and especially to Clare Greaves who spent 2.5 hours supporting an injured swimmer from an adjacent club whilst waiting for an ambulance – you were amazing Clare!